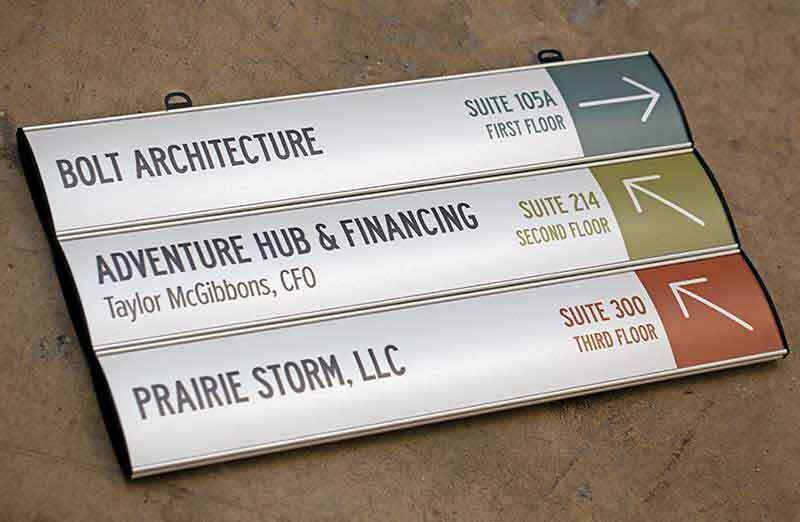 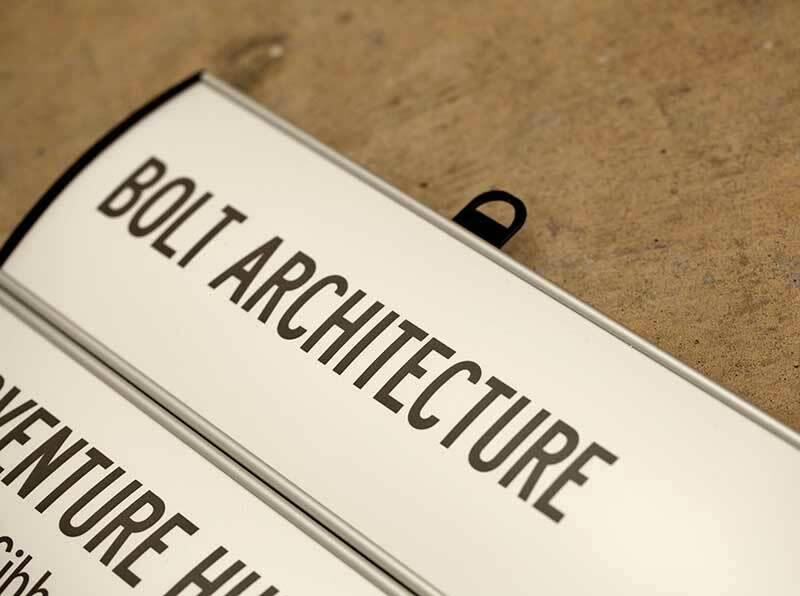 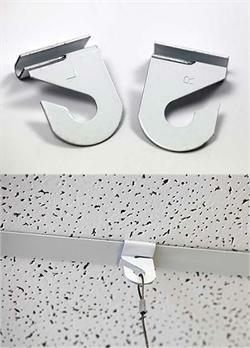 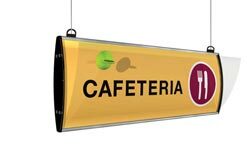 Multi-panel double-sided metal suspended ceiling signs feature a top-to-bottom curve on each channel with a protective matte clear lens that can be removed so graphics can be interchanged as needed. Aluminum frames are available in a satin silver or powder-coated black finish with black or grey high impact plastic end caps. 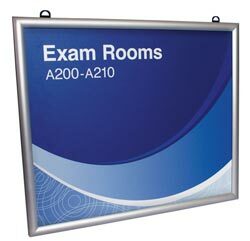 These are a great option for directional signage in hospitals, clinics, airports, schools, grocery stores, department stores and other large facilities that require help with navigation. 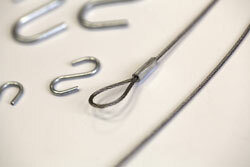 of the standard sizes offered along with specific dimensions for each portion of the sign. 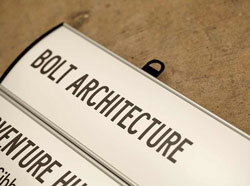 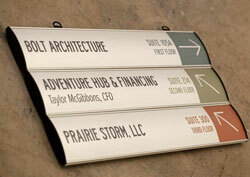 Create your own paper inserts for these signs, or let us create them for you.